OK, you've prepared your resume; it’s perfect. You are the ideal candidate every boss has been hoping for! Oh no! The landing seems to be separating itself from you. 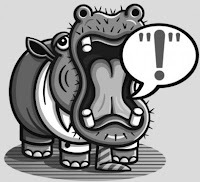 As you whirl to the depths of the jungle, head first toward the mouth of a hungry hippo, you realize you forgot a cover letter. OK it’s not that dramatic, but close! Although a resume is a key component to your application, a cover letter can/should make a great impression. It’s your chance to introduce yourself, discuss specific opportunities you’ve had in previous employment and explain how you are the most awesome candidate for the job(professionally of course). Always always always write a customized cover letter for each employer! Unless you are applying to 10 retail stores it is very noticeable when you’ve written a general letter. It just says ‘I need a job but I’m too lazy to actually dedicate time to personalize your first impression of me’. Weird right? I will also recommend doing some ‘creeping’ on the company/organization you’re applying to. Get into the nitty gritty of who they are and what they stand for so you can tell them why you’d be a great fit! Tim Horton’s doesn’t need to know you love their Ice Caps and want a discount. They want to know you believe Timmy’s has been a valuable Canadian symbol since 1964 and you are proud to serve your country – or something like that. If you’re totally lost, hate writing about yourself or don’t know how to start, do our online workshop or drop into the Resource Centre where the kings & queens of the jungle can review your application.